If you are thinking of selling your London property, there will be no shortage of buyers thanks to an immense level of interest among purchasers. While our own records and anecdotal evidence here at London Residential show an insatiable appetite for properties for sale, especially in our heartland of Camden and Kentish Town, a new report from the National Association of Estate Agents (NAEA) has revealed an average of 11 buyers chasing each property on the market. The NAEA's research also shows that more buyers are registering with estate agents on a month-by-month basis, quashing any sentiment that there's a lack of confidence in the UK's property market. In fact, there was a 10% leap in the number of people leaving their details with estate agents in January 2017, when compared to December 2016. "What's reported in the press and what is actually happening in the local property market is very different," comments Steven Govier, the Managing Director at London Residential. "We can attest the NAEA's findings in terms of demand. The number of viewings and the volume of buyers being handled by us means asking prices are being met and also surpassed; such is the level of competition. It's no surprise that the NAEA found 1 in 20 homes sold in January 2017 went for more than the original asking price - the highest number since April 2016, when 9% sold for more than the asking price." Contact London Residential today for a free valuation and also for advice on how you as a buyer can put yourself in the strongest possible position when making offers. 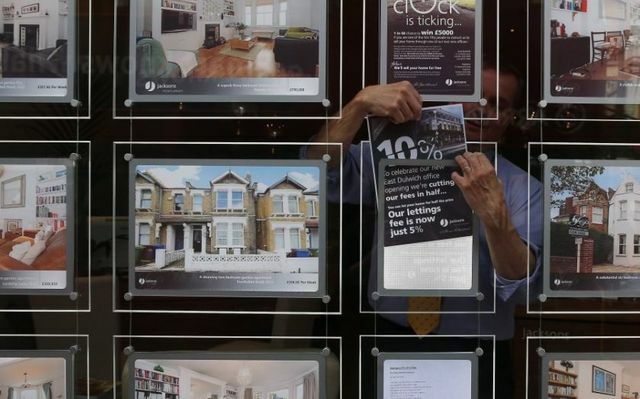 "Competition is rife, with an average of 11 buyers chasing each property," said Mark Hayward, chief executive of NAEA Propertymark.